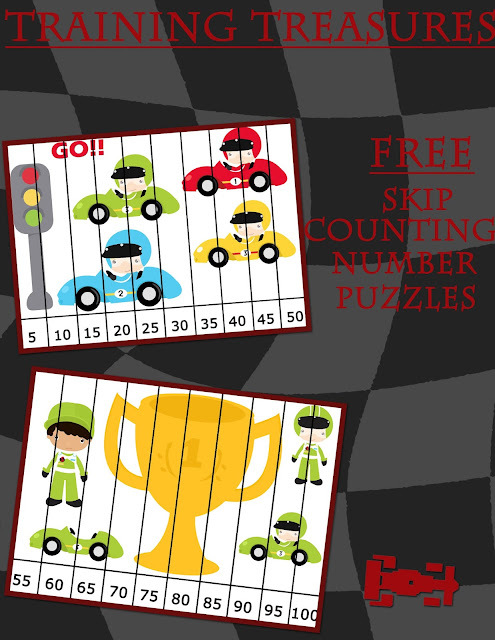 Training Treasures: FREE Race Car Counting by 5's Number Puzzles! As I'm busy creating a race car printable pack, I'm releasing some freebies! Today you can hop over to my TpT store and download 2 skip counting puzzles for your little ones working on counting by 5's. I taught my son skip counting when he was just 4, and these puzzles would have REALLY come in handy! Can you please mention more about this car puzzles because i like to solve these type of puzzles. Thanks for sharing.